Now that you've invested in a Samsung Galaxy S5, take steps to shield it with this high-quality, full screen, protector made by Magnasonic. Guard your smartphone against accidental damages, scratches, fingerprint smudges and smashed screens by using this extremely easy to apply screen protector. Asahi glass, imported from Japan, offers the highest-quality protection available for your smartphone's screen. This lightweight protector is 9H strong (diamond is 10H) and engineered to fit precisely on your Samsung Galaxy S5. 0.33mm thin and flexible, this tempered glass is scratch resistant, shatter-proof, and durable enough to withstand accidental drops or impacts without cracking under pressure. 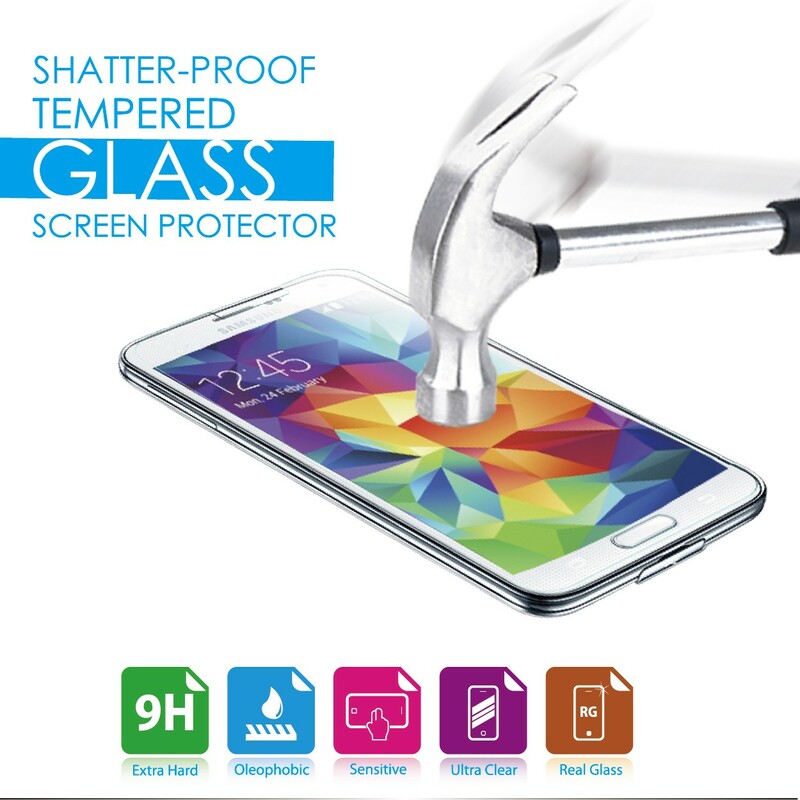 The glass protector maintains touchscreen accuracy, and won’t distort the color or optics of your phone in any way. By using real glass, you can maintain precise touchscreen accuracy and perfect clarity with the same look and feel. You won't even be able to tell there is anything on your smartphone screen. While protecting your phone against scratches and cracks, an additional Oleophobic coating designed to repel fingerprints keeps your screen clean no matter how often you use it. Unlike most glass protectors, this product can easily be moved from one device to another. Conveniently peel the protector from your current Samsung Galaxy S5 and easily transfer it to another without cracking, bubbling, or leaving behind sticky residue.